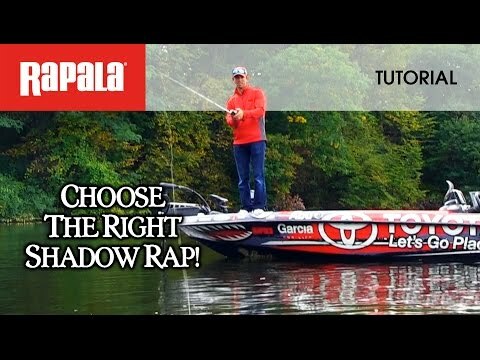 The Rapala Shadow Rap® Deep combines a horizontal struggle with a vertical fade that perfectly mimics a minnow in trouble in the 1,2 - 2,4 m depth range. 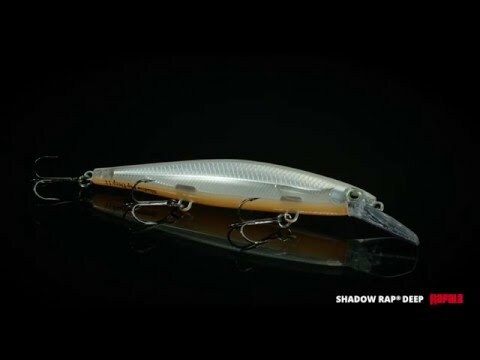 Rapala has perfected the natural minnow action in this new jerkbait that triggers fish in three ways: on the kick, on a slow fading fall and on the snap back to life. Most jerk baits continue on a forward plane with each jerk. Not the Shadow Rap Deep. It kicks almost 180 degrees right then left, so it can be fished nearly in place with very little forward travel, keeping the flickering fade of the Shadow Rap Deep right in a fish's strike zone. That's when things really get interesting. Head down, ready to work, the fixed weight system allows Shadow Rap Deep to fade slowly like a dying minnow.